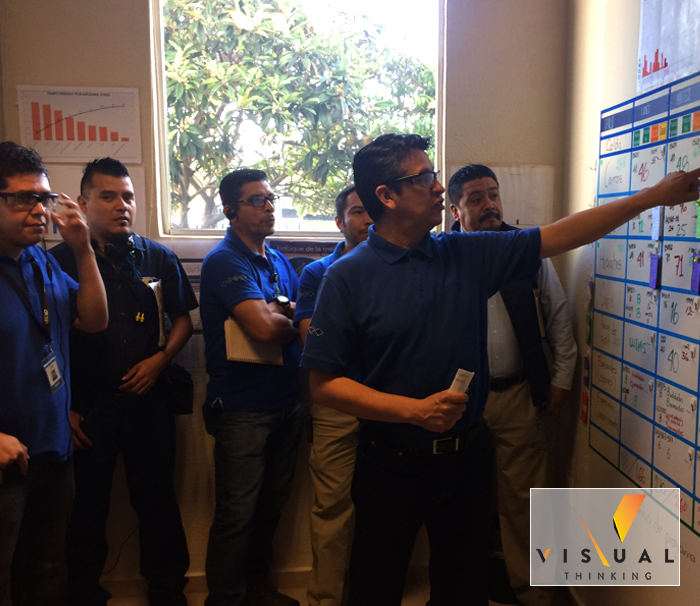 Train your managers, supervisors, and engineers in visual displays and watch them solve supervisor-level problems, align schedules, coordinate solutions, and make a smooth transition to operational excellence. 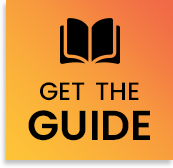 Workplace information can change quickly and often—schedules, customer requirements, engineering specifications, operational methods, tooling and fixtures needs, material location, and thousands of other details on which daily life of the enterprise depends. 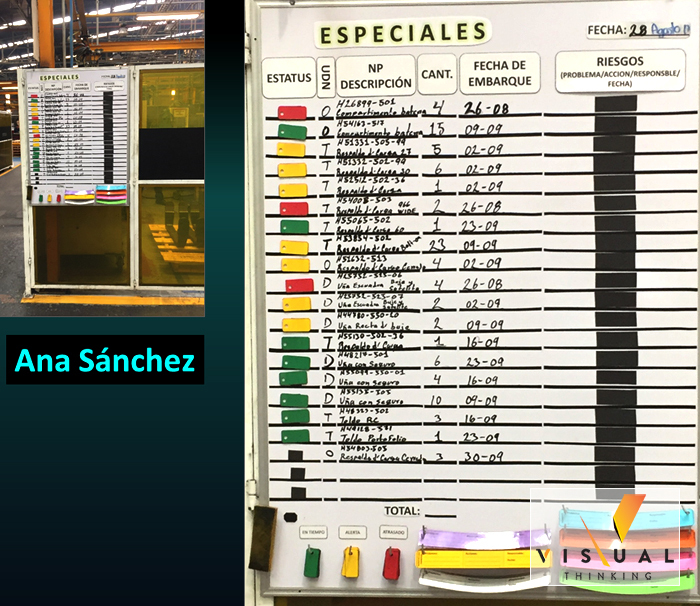 Low-tech, high impact visual displays offer a rapid, accurate means of updating and sharing workplace information so that vital adjustments can be made, in real-time. Displays are an extraordinary solution to chronic, costly, and complex information deficiencies in the workplace, pinpointing where and how loss is happening. 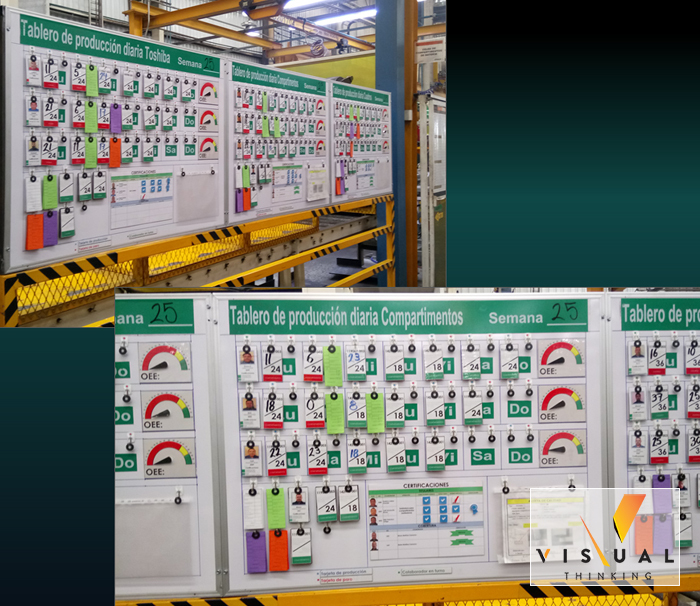 For companies that are transitioning from traditional to the new excellence, visual displays are unsurpassed in their usefulness. They are the glue that holds your company together while you transform your value streams. Contact us. Who Attends: Supervisors, team leads, managers, your training, coaching, and CI staff and other change agents. We encourage you to invite staff from Planning/Scheduling, Purchasing, Maintenance, and Warehousing as well as value-add operations. Contact us. 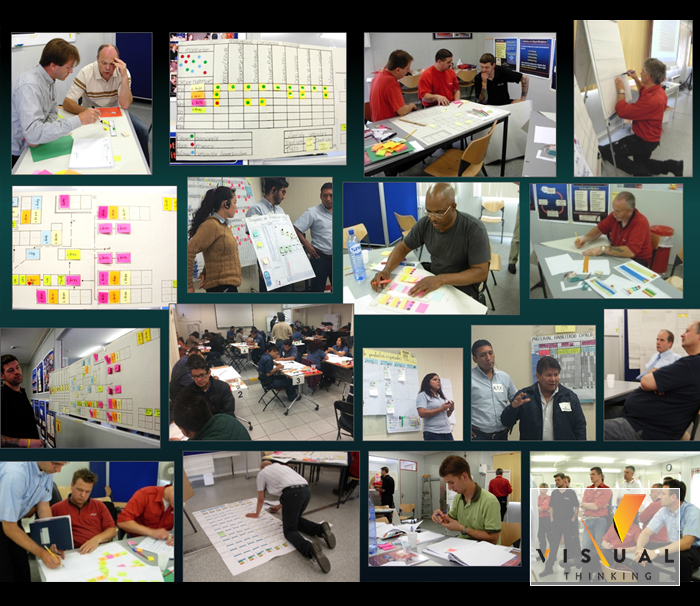 This is a 1.5- to 2.0-day workshop when you and your team develop visual displays, hands-on, that are launched by the end of the session. Group size: 15 to 22 active participants. 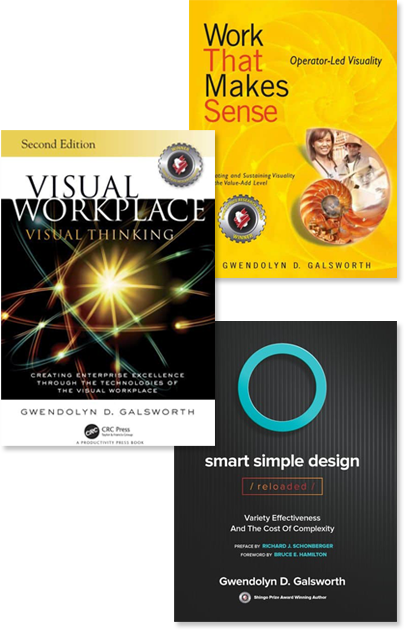 Attendees receive a Visual Displays Participant Manual (150 pages) for use during the workshop and as an on-going reference, plus a copy of Dr. Galsworth’s Shingo Prize-winning book, Visual Workplace/Visual Thinking.